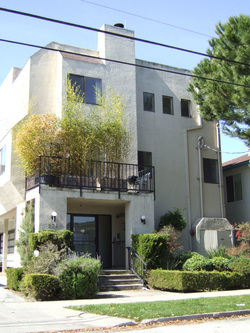 Baywood has grown into one of San Francisco Bay Area’s most respected property management companies, managing residential, commercial and retail buildings from Los Gatos to San Francisco. Baywood’s keen management of its own properties has attracted other property owners that are seeking higher revenues and controlled expenses. Josh Turow, Vice President of Commercial Operations, leads the daily management from our corporate offices in Burlingame, California. Baywood's comprehensive management service is delivered by a professional management staff that includes property managers, on-site managers, accounting and maintenance departments. Our maintenance crew is available 24 hours a day, seven days a week. Baywood also has decade long working relationships with a variety of contractors and suppliers. These relationships ensure competent and reliable service at the best rates. Our goal at Baywood Capital is to create and maintain the financial success of our properties, while freeing ownership from the day-to-day management tasks and headaches that sometime accompany the management of real estate. Baywood has a proven track record of high standards of service, excellence and value. Its extensive list of long-term tenants and clients sets Baywood apart. Baywood has maintained an average occupancy of over 94% over the past ten years. We pride ourselves on consistency and accurate accounting. Precise, timely financial reporting and control are essential to efficient building operations. Baywood's accounting department is staffed by trained and skilled professionals. Our services include budgeting, financial and operational reporting, monitoring and control of accounts payable, receivables and bank reconciliations. Our organized personnel know the intimate details of each building, thus bringing a qualitative and quantitative control to each accounting function. Baywood’s management and accounting departments work with ownership to produce achievable annual budgets for each building. Baywood’s communication and accounting skills lead to faster, correct record keeping which is the foundation to effective management. Baywood Capital draws upon more than 40 years of experience in the income property investment field. Our marketing strategy begins the moment a tenant vacates one of our properties. Whether it’s a residential, commercial or retail property, Baywood utilizes a variety of resources to welcome new tenants to our properties. use traditional flyers, signs and internet marketing. contacting professional real estate organizations to cast our message to a wider audience. With an ever changing marketplace, Baywood also uses creative methods, for example, we might try to fill a vacancy by negotiate a lease extension with an existing tenant who is contemplating an expansion. In the residential market, we keep ahead of the competition by maintaining and constantly updating our properties so that we always have a very desirable product. We also use forward thinking methods of marketing, such as social networking and mobile networking. The blend of marketing techniques and expertise in what has provided the landlords we represent a consistent occupancy rate of more than 90%. Baywood has experience in the full spectrum of real estate maintenance. 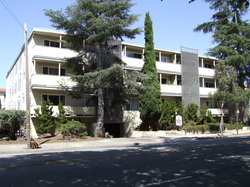 From fixing a drain to the extensive remodeling of a vacant unit we have done it all. We are able to provide professional, cost effective and time efficient property maintenance for any type of property, large or small. Our long term established relationships with contractors and vendors are our most valuable asset. Baywood professionally provides all of the services necessary to keep each of our properties safe and sound. Regular inspections of both the interior and exterior of a building are an essential part of eliminating potential issues before they strike. We employ a staff of on-site managers, handymen and on call vendors who are dispatched on a regular basis. We find this to be a highly cost effective way to minimize expensive issues that might arise otherwise. Performing routine maintenance and investing in building improvements enables the properties we manage to preserve and enhance their value. Over the past 40 years, I have acquired a real estate track record in national and international marketplaces. I have been recognized as one of the country's leading authorities in real estate management. I have invested in many partnerships and witnessed multiple styles of management. Mr. Woods has proven to be one of the best managing partners in the business. He is honest and loyal to his investors and puts the partnerships needs before his own. As one of Mr. Woods investors, I have personal knowledge of his abilities. Michael Woods reputable character is without question. I believe he has what it takes to see a project through.